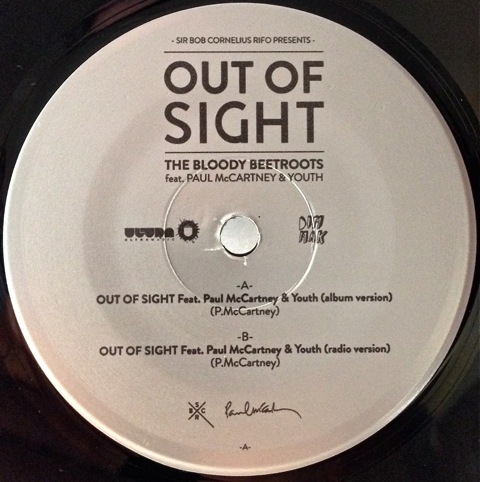 Remember this post about Paul McCartney and Youth teaming up with Italian dance punk performer Sir Bob Cornelius Rifo (a.k.a. 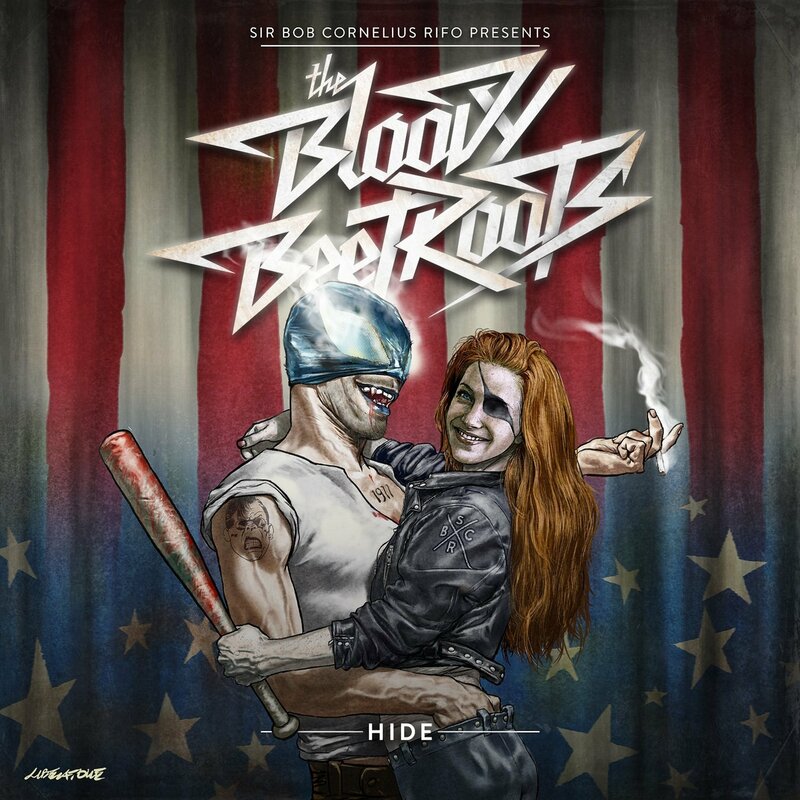 The Bloody Beetroots)? 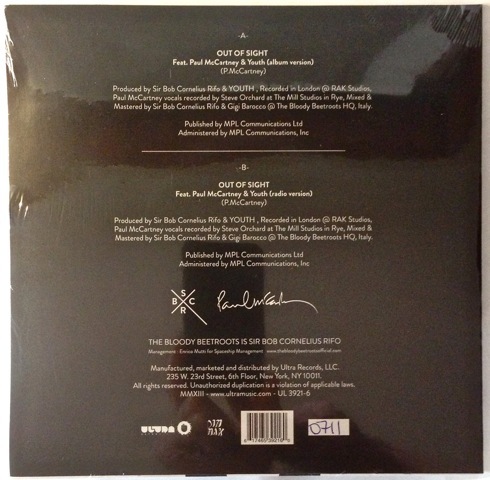 Things to note on the rear cover are the song and recording credits…..
….the Sir Bob Cornelius Rifo (SBCR) logo and the McCartney signature….. 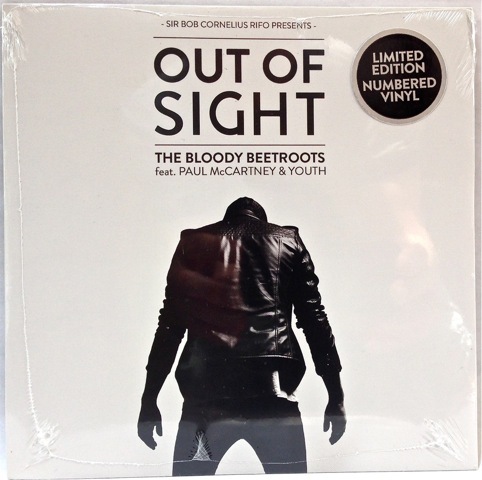 This entry was posted in Beatles, Beatles Collecting, Paul McCartney and tagged Beatles, Beatles Collecting, Bloody Beetroots, Out of Sight, Paul McCartney, Youth by beatlesblogger. Bookmark the permalink. 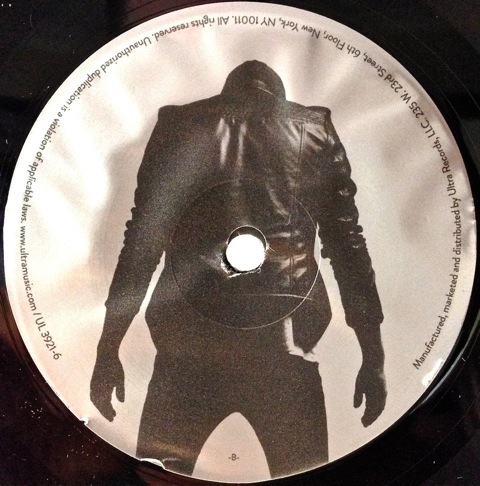 I have the single Out of Sight too, my copy is the 0847, but how many copies were pressed?